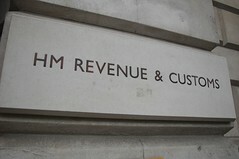 The UK HM Revenue and Customs has begun a using a list of stolen Swiss bank information in their campaign against tax evasion by clients holding undeclared Swiss banks accounts. Some UK taxpayers have reportedly received letters from the HM Revenue and Customs (HMRC) advising them that they are suspected of holding undeclared bank accounts in the Swiss division of the Hong Kong and Shanghai Banking Corporation (HSBC) bank and that an investigation will soon begin into their tax affairs. The letters explain that documents recently obtained by the HMRC indicate that the recipient is suspected of illegal tax evasion and is advised to schedule a meeting with the HMRC. The letter goes on to say that the taxpayer is required to prepare a report truthfully and accurately detailing their tax affairs, and is additionally recommended to seek legal assistance. Recipients are also warned that if found guilty of tax evasion, they will face interest charges, penalties and possible civil investigations for fraudulent conduct. The bank information and personal details of the letters’ recipients was taken from a list of HSBC client data allegedly stolen from the bank in 2007 by a former IT employee named Hervé Falciani. The data was initially sold to to the French Government, but has been passed onto other European governments. In March 2010 the bank revealed that the data could effect an approximate 24 000 international clients. The French Government and the Swiss Government currently have an agreement that the stolen information can be sold to tax authorities, although no administrative assistance will be rendered by the Swiss Government in prosecuting banking clients listed in any stolen data. According to taxation and political analysts, the international clients mentioned in this illegally obtained list are widely distributed between various jurisdictions. It is likely that no more than 2 400 of the HSBC clients mentioned are UK taxpayers.